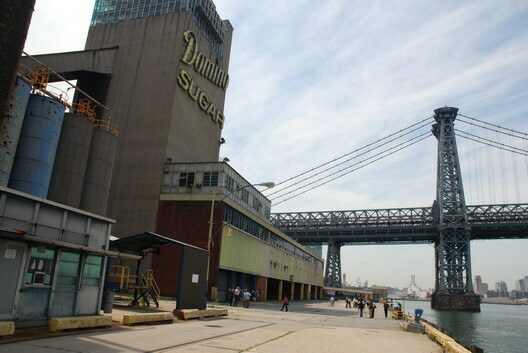 The Community Preservation Corportation, which will redevelop the old Domino Sugar plant in Williamsburg, held a press event earlier today to detail its plans for the site. If it is approved, the development would be a massive $1.2-$1.3 billion undertaking that would take 6-8 years to complete. It would be the largest development on the Williamsburg-Greenpoint waterfront and one that is likely to generate considerable debate, given the 3,000-4,000 new residents it would include and the 30-40 story height of many of the buildings. "This is an important site to the community and can be an important asset if it is done right," Mr. Lappin said. 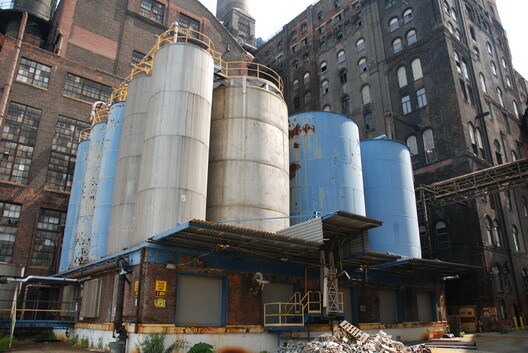 The main Domino plant building would be preserved, but the developer wants to add floors to the building, which could be controversial in the context of landmarking it. In addition, there could be controversy over plans to demolish another historic structure on the site that is not up for landmarking. The site totals 11.2 acres; 4 acres would be set aside for open space. Residential towers designed by Rafael Vinoly would be as tall as 30 and 40 stories. (Assuming the developers get the rezoning they are seeking.) The development would include 120,000 square feet of retail space and 100,000 square feet of "community space." The first presentation to the Planning Commission about the project is on July 31, and there is much more to come on the subject. 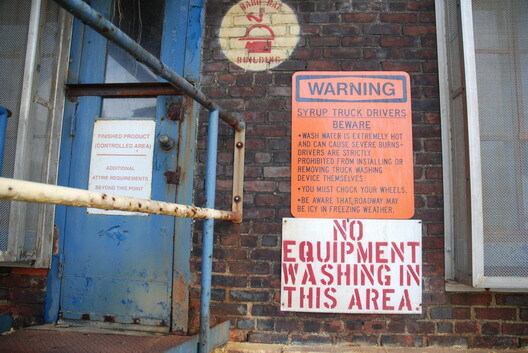 We'll have a slideshow of photos from the plant grounds, which we'd never be on before, tomorrow. If you're interested in some of the contentious management-labor history of the plant back when it was open, check out this old story in the Village Voice. Domino was not quite a sweet and happy place back in the day.